Grapefruit has a wonderfully uplifting citrus aroma. Brighten your home by diffusing Grapefruit essential oil in the morning, or add to skin care products for a smooth-looking glow. Rich in the powerful antioxidant di-limonene, Grapefruit essential oil is cold-pressed from the peels of the fresh fruit for a citrusy oil with the bright aroma of a grapefruit orchard. 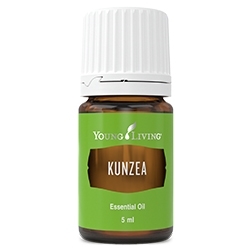 With a sweet, invigorating aroma, this oil can be used to encourage feelings of joy, satisfaction and playfulness. Grapefruit essential oil is known for its invigorating citrus scent and delicious, tart taste. Add Grapefruit essential oil to water to give your drinks a little zing, or add a hint of citrus by incorporating it into culinary recipes. 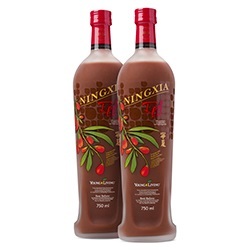 Give NingXia Red® an extra boost of flavour with a couple drops of Grapefruit essential oil. Create a refreshing room spray by mixing Grapefruit, Peppermint, Orange, Lemon, Bergamot, and distilled water in a glass spray bottle. Blend Grapefruit essential oil and NingXia Red for an added boost of wolfberry goodness. Add 2–3 drops of Grapefruit essential oil and other citrus culinary essential oils to water in a glass water bottle and shake to make a refreshing drink and stay hydrated. Add 5-10 drops of Grapefruit essential oil to a small, slightly damp washcloth. Place it in the dryer while drying towels for a clean, fresh aroma. 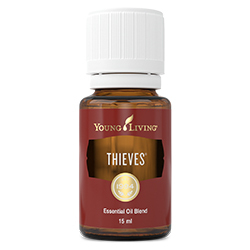 Deodorise your fridge: half-fill a small container with baking soda and 5-10 drops of Grapefruit essential oil, and leave it in the fridge with the lid off. Freshen your rubbish bins with Grapefruit essential oil sprinkled into baking soda. Shake mixture into the bottom of the bins and refresh as needed. Add to culinary recipes to add a distinct, citrus flavour. 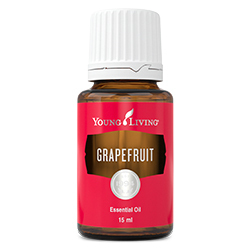 Grapefruit essential oil tastes great in desserts, marinades, and salad dressings. Diffuse Grapefruit in your bathroom to make your bathroom smell fresh. feelings of joy, satisfaction, and playfulness. Instantly brighten your kitchen, living room, or office by diffusing its citrus scent, or apply it topically for smoother-looking skin. Aromatic: The sweet, zesty aroma is uplifting and revitalising. Diffuse up to 1 hour 3 times daily. rays for up to 12 hours after applying this product. A hybrid of the pomelo (Citrus maxima) and the sweet orange (Citrus sinensis), grapefruit is more than just a part of your breakfast! The fruit likely originated from Jamaica and was first popularised for consumption in the West Indies before spreading to America and throughout citrus-growing areas. It’s now produced in locations throughout the world, including the United States, South Africa, Brazil, and Israel. The grapefruit tree can grow to be quite large, reaching up to 20 feet tall. It has dense foliage, and the grape-like clusters of the fruit are the source of the plant’s name.